How Far is Mittal Sun Universe? Home is where your story begins. At Sun Universe, we invite you to create a story that celebrates your dreams, aspirations and loved ones. Located on the rapidly developing Sinhgad Road, Sun Universe is a mega township comprising of 1, 2 & 3 BHK apartments and twin bungalows. Secluded for privacy, yet close enough to the world outside, Sun Universe welcomes you to enjoy a host of luxurious amenities along with all the amazing comforts of modern living. Your home at Sun Universe boasts of lush green surroundings, beautiful vistas and a lifestyle envious to most. Choose from a wide bouquet of homes, from affordable living to absolute luxury. While new families can start their journey in a 1 BHK, established joint families will feel right at home in the twin bungalows. Every residence has been designed to enjoy excellent natural light along with a stunning view. Homes at Sun Universe reflect optimum planning of space, international style, and opulent finishes.So hurry! 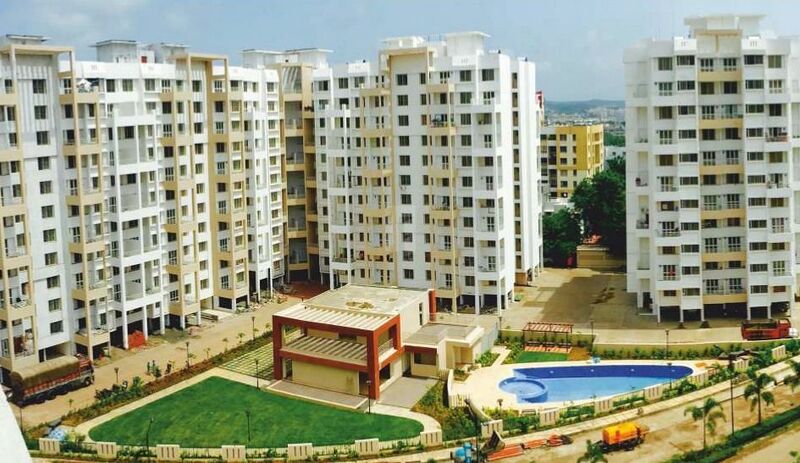 to choose your dream 1bhk and 2bhk flats. The world class amenities & fixtures used in the Sun Universe projects gives a lavish experience to the customer. The world class technology used in building the structure makes this a top notch structure. The structure is excellently designed with the guidance of experienced architects & engineers. The special coat of paint is used to protect the walls from deteriorating in different weather conditions. The finest of the lavatory fittings & electrical fittings give a lavish experience to the owners. The life size windows allow abundant ventilation & sunlight. The floor design is such that it offers ample parking space & kids playing area. The best quality of raw material used in creating the structure ensures a toughness & sturdiness. Highly illuminated approach road leading to a decorative artistic gate with round the clock security service. Concrete / paved internal roads with street light and plantation. Carom and table tennis room. Senior Citizen Park & jogging park. LPG gas through pipeline for each flat. Lighting in parking, Common area & water pump with generator backup. Attractive entrance lobby with individual letter box & name plate. Easily accessible fire extinguisher system. Sufficient light points with generator backup in each flat . Staircase & landing space will be well finished. Card access security system in entrance lobby & video door phone in each flat. R.C.C. Frame structure designed as per earthquake resistance norms. Brick Work: 6” thick external & internal walls. Neeru finish / Gypsum plaster inside & sand face plaster outside. Provisions for fixing water purifiers and exhaust fan in kitchen. Anti Cockroach trap for outlets. Provisions for washing machine with waterline and drain in dry terrace. Main door with veneer finish and brass fittings. All other internal doors will be flush doors/ moulded doors with superior fittings. Good quality Powder coated / anodize aluminum windows with stainless steel mosquito net and MS safety grills. Good quality 2' x 2' vitrified tiles in living, dinning, bedrooms and kitchen. Anti skid ceramic tiles 12"x12" for attached terraces, toilets. Designer glazed dado tiles on the walls up to 7'height..
Cable and telephone points in living room and master bedroom. A.C. point in all bedrooms. Concealed plumbing with JAGUAR / equivalent fittings in toilets & kitchen. External painting with decorative Colour finish in superior quality cement paint. Internal painting in good quality OBD paint.